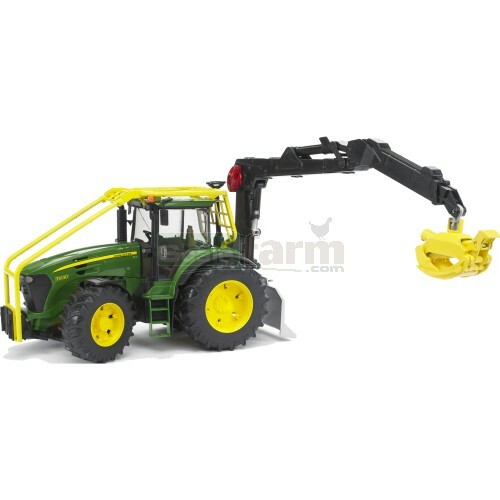 John Deere 7930 Forestry tractor with swivelling, height adjustable crane, grabber with automatic closing mechanism, integrated cable winch with removable blade. Tractor with front wheel steering, opening engine bonnet, roll bar, tow-coupling with height adjustable lifting gear, mounting adaptor for front-mounted equipment and rolling wheels with tread tyres. Cab doors open and steering wheel extension included for easy operation of steering.